High-end speaker system! 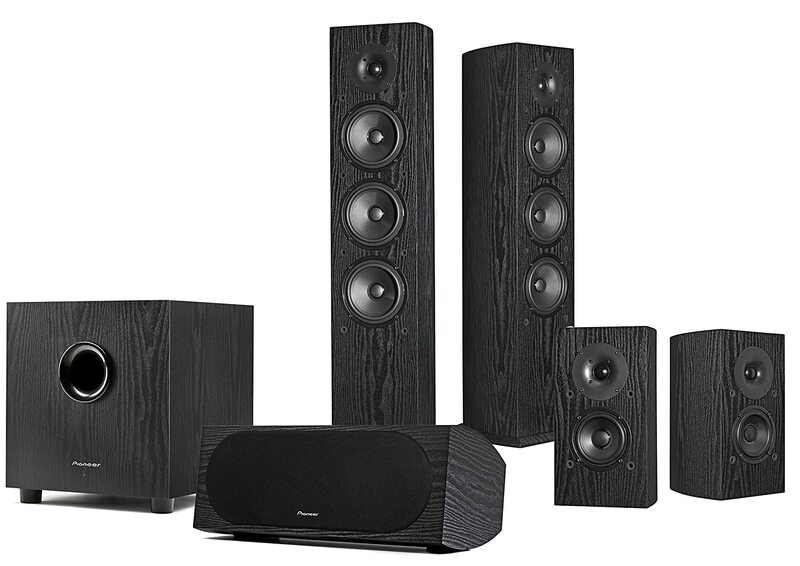 These surround sound speakers will definitely give a 3D sound around your home theater. 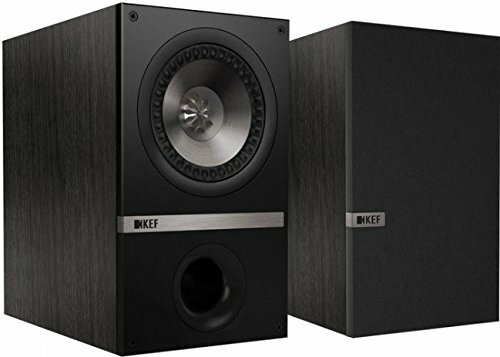 Having a set of these speakers will deliver booming bass, crisp highs and clear midrange sound for all your music, movies, TV shows, sports, and gaming! This set of surround-sound speakers come with its own center hub so you won’t need to buy a separate receiver. Its satellites have tow drivers on opposing sides to really spread out the sound. It has three HDMI inputs to connect your cable box, dish, gaming console, DVD-Blu ray player, and streaming appliance. It also includes 3.5mm analog, optical and Bluetooth input. Plus, it has 24-bit uncompressed audio wirelessly! 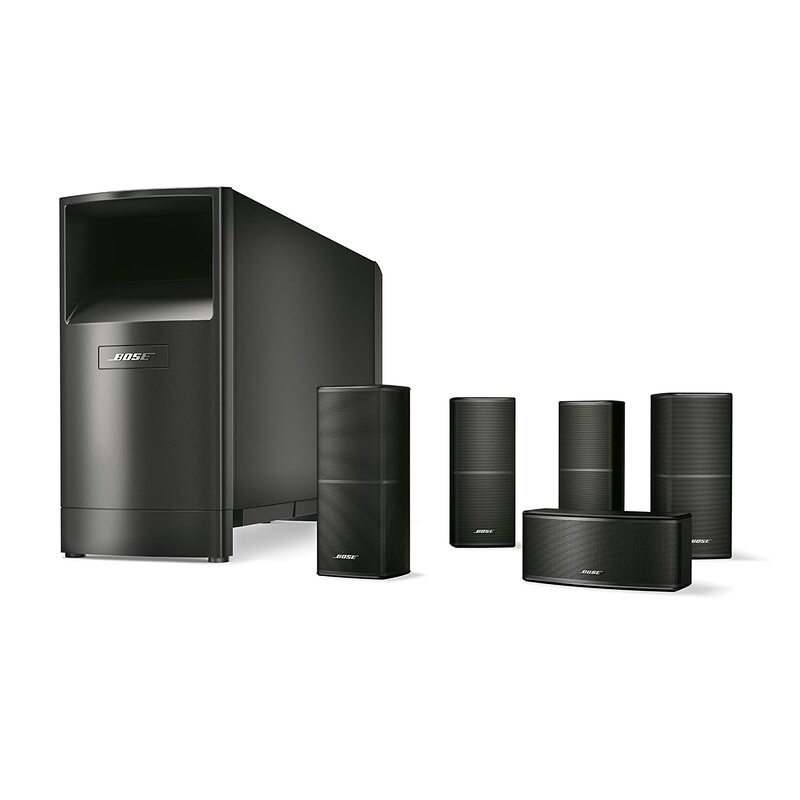 This set of surround-sound speakers can perform its best in any size of the room. Its satellites allow for flush mounting against a wall, and the sub has dual high-performance drivers. It has nearly no distortion at high volumes. It is compatible with amps from 4 – 8 ohms. Plus, it comes with a lot of speaker wires! 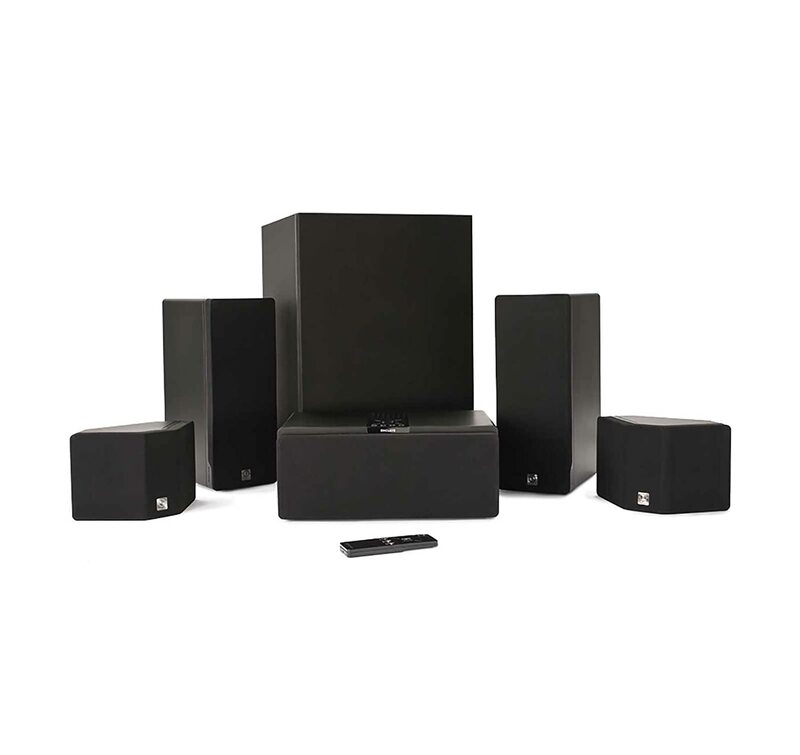 This set of surround-sound speakers has a unique 38″ sound bar and a thumping subwoofer that will completely surround you with fantastic sound on your favorite shows. It offers crystal clear sound up to 100dB so there would be no distortion when you crank up the volume. It features built-in Bluetooth that allows you lose the wires and listen to your music with a tap of a finger. Plus, it has an intuitive LCD display remote that brings all of the controls and settings right into your hands. 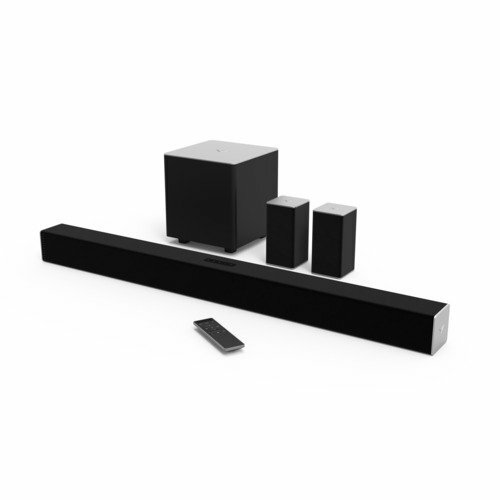 Add this great set to your sound system right away! 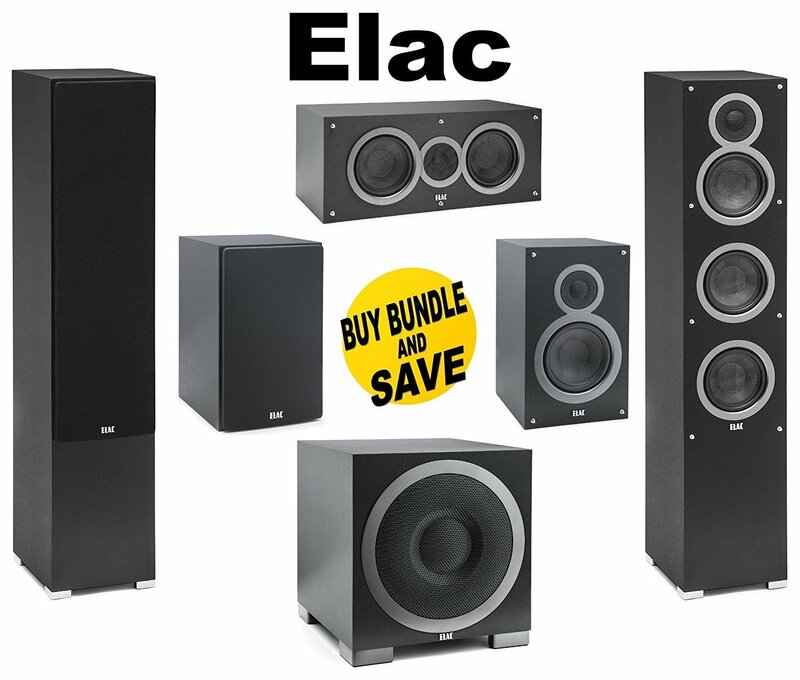 This set of surround-sound speakers has the neutral frequency response, with the right balance of lows, mids, and high-frequency sounds. It delivers an incredible dynamic at a small-sized speaker system. It has 8˝ high-excursion driver, built-in high-current, and discrete output amplifier. Plus, it comes with satin-anodized pure-aluminum domes with powerful neodymium magnets and ferro-fluid cooling for increased power handling! 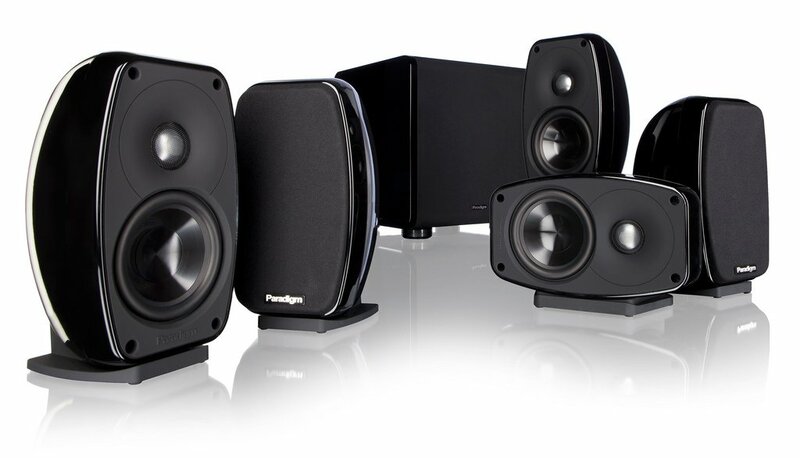 This set of surround-sound speakers offers a realistic midrange and a powerful-sounding subwoofer. It features three 5.25″ structured surface woofers, 1″ high-efficiency soft dome tweeter, and 8-component high-quality crossovers. It handles 90 watts and delivers a wide frequency response regardless of the source. The top and bottom panels are curved front-to-back, and it comes with two small “cradles” to provide a stable base for shelf mounting over or under your TV. Plus, all speakers feature all-metal connectors that provide a secure grip on the wires! This set of surround-sound speakers has deeper bass compared to other models. It has a Uni-Q driver array, which positions the tweeter at the acoustical center of the larger woofers. This arrangement will bring all of the high- and mid-frequency sounds arrive at your ears at the same time. It features a front-firing bass port instead of a rear-firing one, allowing you to place them a little closer to the walls behind the speakers. A great speaker system that comes in 5 different colors! This set of surround-sound speakers has smooth and well-balanced sound especially critical midrange frequencies. It can create cohesive surround-sound when you properly position the speakers in your room that put it at the top of our list for the best surround-sound speakers. It offers powerful bass, clear voices on dialogue clarity, and its smooth midrange and fantastic dynamic output. These speakers do not suffer from the booming or bloated sound that you hear with cheap ones. Plus, it features companion app for iOS and Android where you control the volume, crossover settings, and other adjustable functions by connecting to the sub via Bluetooth!